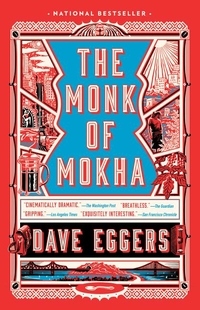 The Monk of Mokha is the exhilarating true story of a young Yemeni American man, raised in San Francisco, who dreams of resurrecting the ancient art of Yemeni coffee but finds himself trapped in Sana'a by civil war. Mokhtar Alkhanshali is twenty-four and working as a doorman when he discovers the astonishing history of coffee and Yemen's central place in it. He leaves San Francisco and travels deep into his ancestral homeland to tour terraced farms high in the country's rugged mountains and meet beleagured but determined farmers. But when war engulfs the country and Saudi bombs rain down, Mokhtar has to find a way out of Yemen without sacrificing his dreams or abandoning his people.